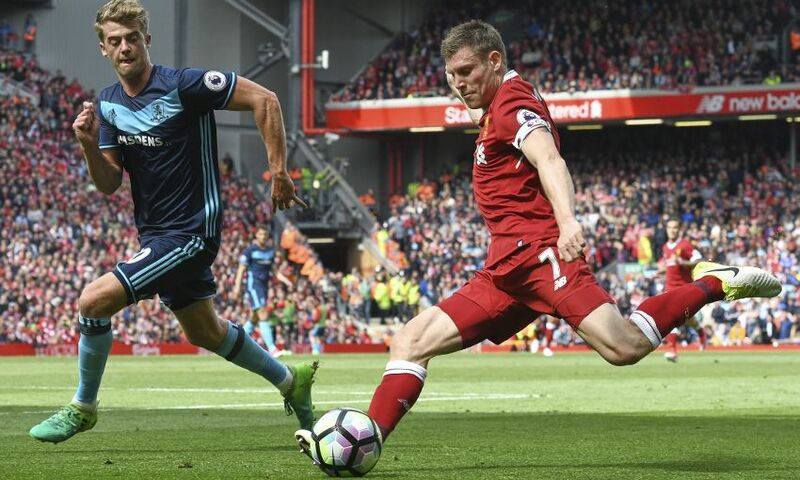 Defensive awareness has always been part of James Milner's game but a season at left-back fine-tuned those instincts further, he believes. The Liverpool No.7 was deployed in the new role throughout the recently-completed season, switching from midfield to the backline with zero fuss. Milner played in 36 of the Reds’ 38 Premier League matches as Jürgen Klopp’s side succeeded in their objective of claiming a top-four finish and Champions League qualification. On a personal level the vice-captain learned plenty about himself too, not least the importance of protecting his side carefully when playing in a deeper position. “I’ve been learning a new role and a more defensive one because I’ve always been a forward-thinking player, and probably still am,” said Milner. “But at times you have to curb that and adapt to the match situation and maybe sometimes hold back a bit if the time of the game suits that. “I think sensing danger early is the biggest thing to learn. When you play in midfield you’re obviously always switched on to defending. “That’s something that I’ve always thought is important and I’ve always tried to put in as much to the defensive side of the game as the attacking game, but ultimately when you are in midfield, you’ve got four or five defenders behind you. “If you go and press the ball and you miss the press or the ball gets a ricochet, it’s not as vital as you’ve got somebody behind you in the backline. It says much about the respect for Milner at Liverpool that Klopp had absolute faith in the 31-year-old’s ability to complete an unusual transition after such a long spell as a midfielder. “He is a fantastic professional football player and a really, really, really good guy. I knew he could do it, otherwise I would not have made this decision,” the manager told Liverpoolfc.com. How would the man himself assess the move, then? “It has been a big change,” Milner admitted. “But I’ve always tried to learn throughout my career and I’ve played in a lot of positions anyway so it’s just trying to learn as best you can and trying to change the mindset from what you’re used to and to do the job as well as possible.